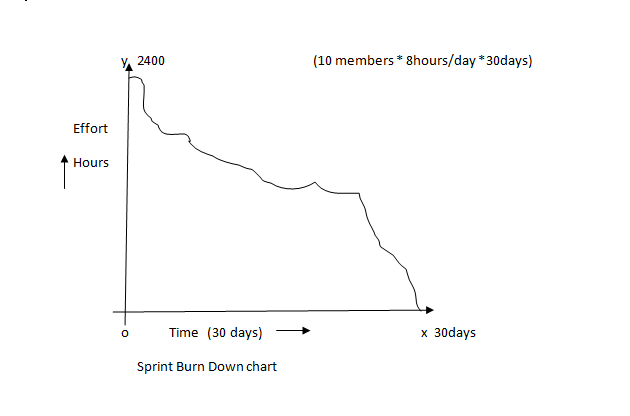 6 – 10 members in scrum team can take 30 days of time to finish a sprint. During this 30 days of time, everyday meeting is going on, called as daily scrum meet (or) daily stand-up. 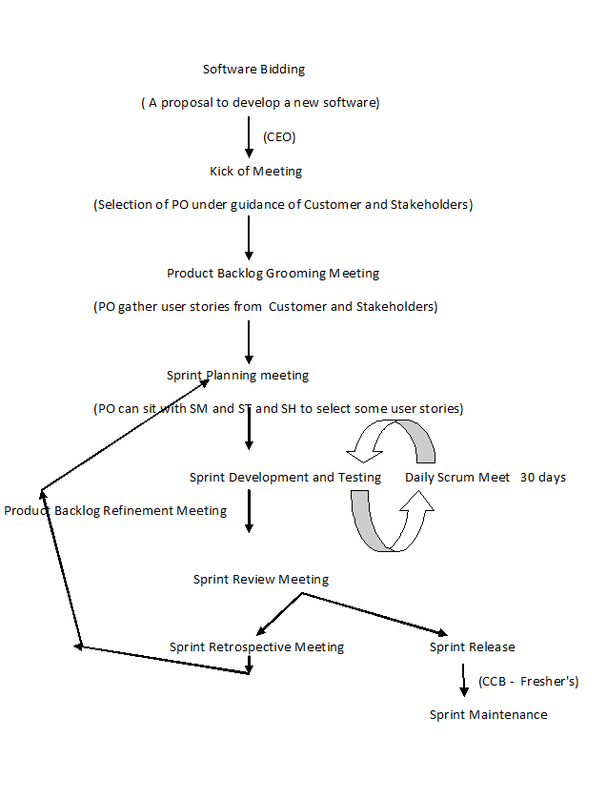 In this meeting, scrum master can prepare a graph to indicate, completed work and pending work. In Agile model every meeting have a purpose and time based . So scrum master is responsible for that meetings time box maintenance. Whenever project is big we can maintain multiple scrum teams. 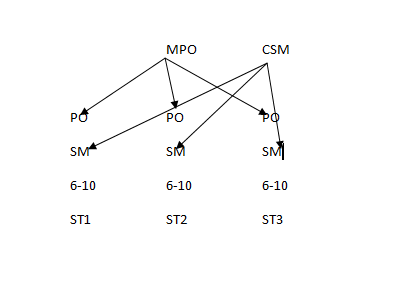 In every scrum, 1 PO, 1 SM and 6 – 10 scrum team members are mandatory. Here, a chief scrum master (CSM) can guide all teams scrum masters. Master PO (MPO) can guide all teams PO’s. 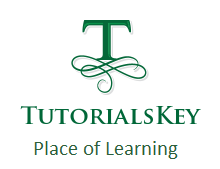 In this article we have seen Manual Testing for Beginners – Agile Scrum Process Diagram . In the next article we will see Testing Stages and Phases.